Kayo and Carol (Chance) Sutton of Brunswick, MO. 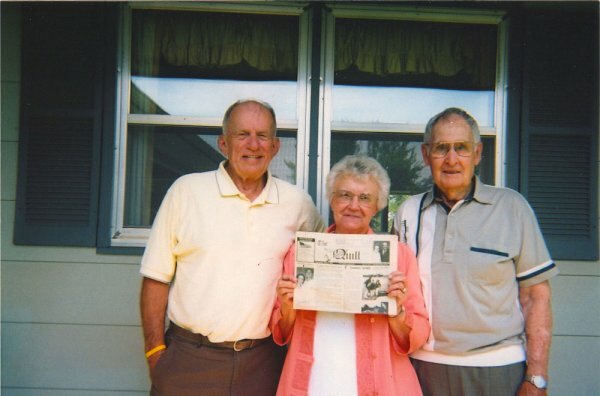 "Took the Quill Along" to Wyoming to visit Gerald Chance's family, when they decided to take a side trip to Platte, South Dakota where they visited with Bill Stanforth and wife, Maylou. Bill was coach at La Harpe High School when Kayo and Carol were students and resided in what is now the Senior Citizens Center. The Stanforth's enjoyed the visit. The Quill-names have changed but not the Quill. 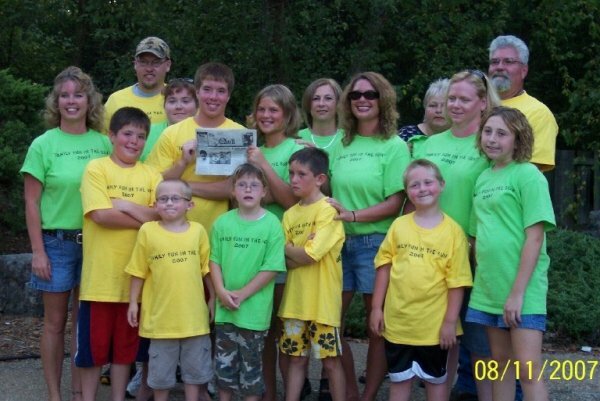 The Quill traveled to Osage Beach, Tan-Tar-A Resort, Aug. 9th-12th for a family reunion with family members from La Harpe, Carthage, and Oklahoma. Able to attend from La Harpe were, Debbie, Craig, and Jensen Corzatt; Denise, Elyce, and Aden Trout; David and Donna Mershon, Ryan, Christy, Haylee, and Hunter Kienast; Monica, Nicholas, and Caleb Mershon; and Brenda and Tiffany Mershon. Missed from La Harpe were Terry and Jean Mershon, Wayne and Chris Corzatt, Randy Trout, Murray Mershon, and Mike Mershon. They "really missed mom and dad!" Next year's reunion is already planned.